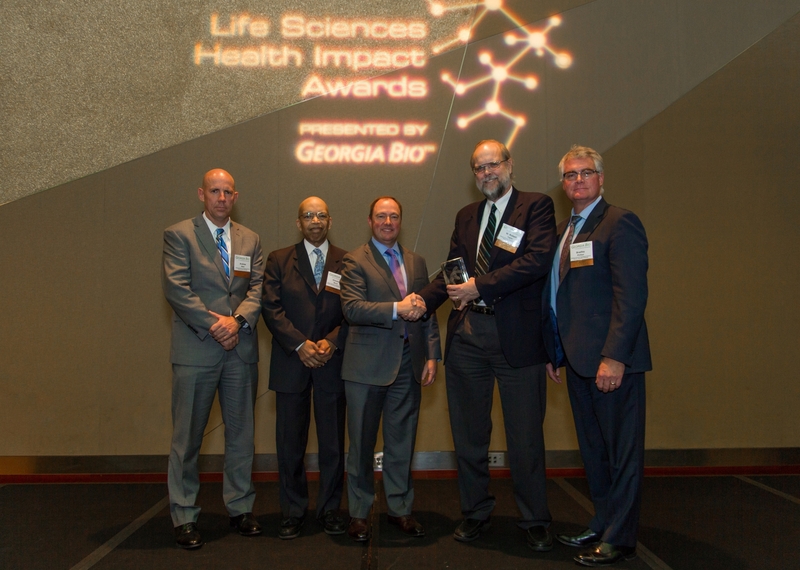 The Georgia Clinical & Translational Science Alliance (Georgia CTSA) will be awarded a 2018 Life Sciences Health Impact Award by Georgia Bio and be recognized as a Deal of the Year at the 20th Annual Georgia Bio Awards. Georgia Bio (GaBio) is the state’s life science advocacy and business leadership industry association whose members include pharmaceutical, biotechnology and medical device companies, medical centers, universities and research institutes, government groups, and other business organizations involved in the development of life sciences related products and services. GaBio works closely with industry, government, academia, and others to shape public policy, improve access to innovative technologies, and grow Georgia’s life sciences economy. The awards will be presented at the 2018 Georgia Bio Life Sciences Health Impact Awards Ceremony and Gala on February 15, at the Cobb Energy Performing Arts Centre. The Deals of the Year Awards are presented to one or more companies or institutions for the most significant financial or commercial transactions closed from November 1, 2016-October 31, 2017, based on the importance of the transaction to Georgia’s life sciences industry.